I came across a pig today. This wouldn’t be newsworthy, but I’m 14 hours from home, in Sacramento California. 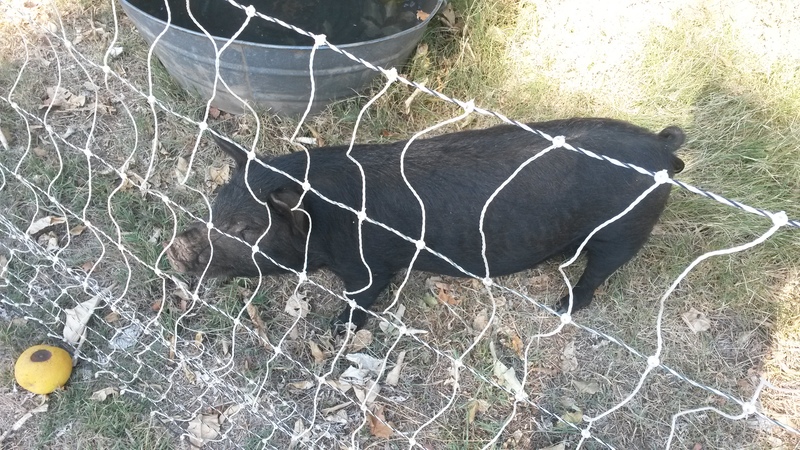 I thought my encounter with “Pork Chop” was opportune, since I saw a discussion about pig fencing at permies.com. 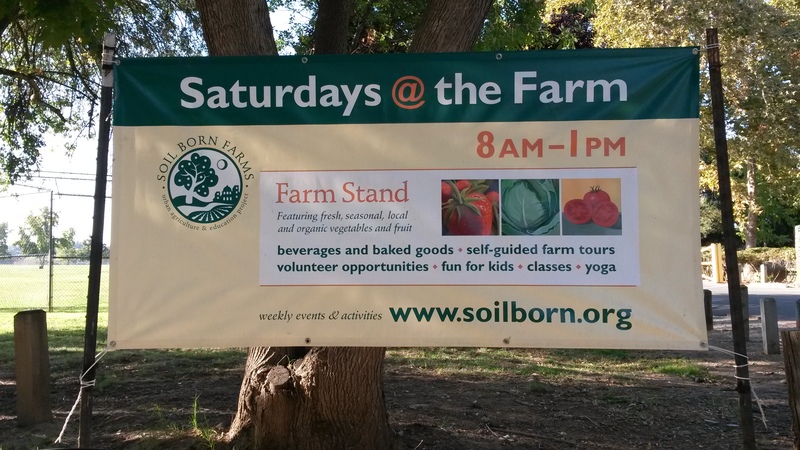 I stopped by the farm stand at Soil Born Farms. I noticed a furry form under a citrus tree on my way out of the parking lot. It looked like a pig, a very furry fellow. I asked a few questions and Callie(hope I spelled your name right), one of the people at Soil Born, took me over to meet Pork Chop. What a handsome little boy. He was happy to be scratched and given attention. Pork Chop is a Guinea Pig. Or rather, a Guinea Hog. I didn’t recognize his breed at first–I’ve only seen Guinea Hogs on the Internet. 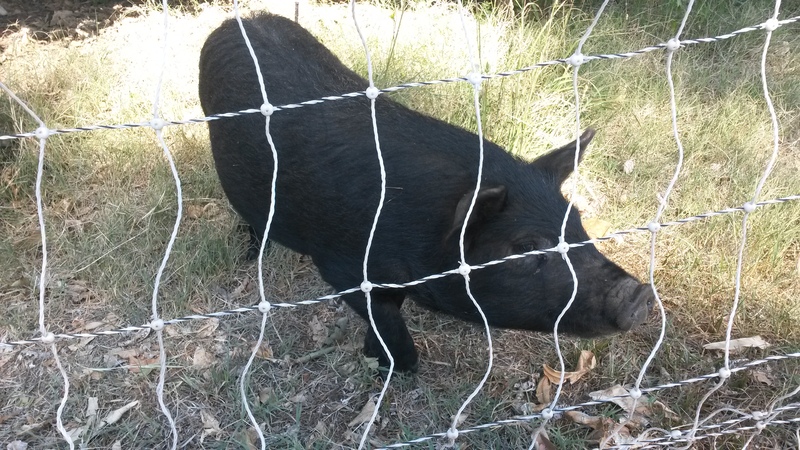 What surprised me was the fencing used to keep this fine swine contained. It’s chicken netting. It wasn’t really staked down. The ground rod was less than impressive and the whole thing was powered by a 12 volt battery in a wheel barrow. I’m not criticizing. In fact, I was taking notes. 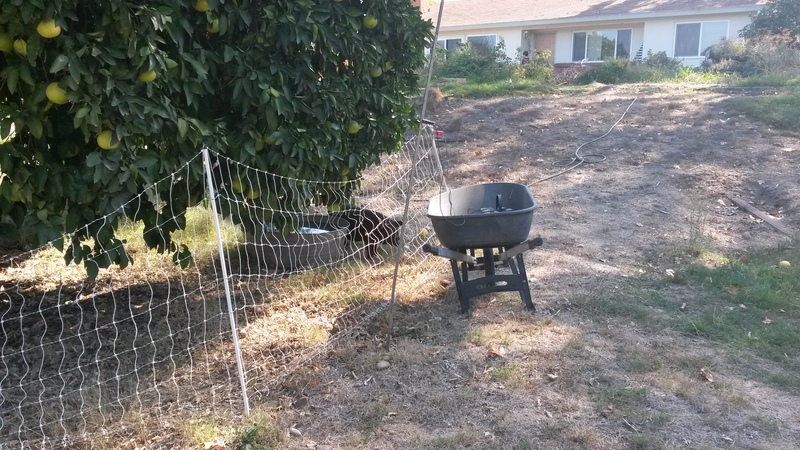 Apparently, Pork Chop has had this kind of electric fencing since he came into this world, and he’s trained to it. The area is really too small for a large pig, but it’s ideal for Pork Chop in his current “petite” size. The tall pole is the ground rod. The soil is dry and I’m betting there isn’t much bite to the fence. You can see the top of the battery in the wheel barrow. I plan on coming back some time to touch the fence. I didn’t feel like demonstrating my level of intelligence in front of someone else. I try to savor moments like self-electrocution in privacy. The fence is doing it’s job whether it’s really hot or not. A neighbor of ours uses horse fencing, four feet high. It’s flexible and comes in rolls, kind of like chain link. He anchors his corners with railroad ties and has T-posts every 8 feet. He also has a hot wire set a little ways off the ground. My thinking is to encompass our pasture area with horse fencing. Then we’ll divide it into paddocks using electric fencing. Probably a single tape. We’ll see. Right now we’re using hog panels. They do the job well, anchored with T-posts. Pork Chop really made my day. This entry was posted in Livestock, Poultry and Creatures Tame and Wild and tagged fencing, pig, soil born by admin. Bookmark the permalink.